Lack of Training. Dentists are trained in gum and tooth care, root canals, fillings, crowns and bridges. They do not have the expertise to recognize that crooked teeth may be the result of an underlying jaw or bite problem that must also be addressed. Limited Experience. Many dentists who offer clear braces may have taken a seminar on the subject and now feel ready to provide this service to their clients. They lack the experience to recognize and correct additional problems, or even identify the best teeth straightening option to fit the patient’s needs. Different Timeframe. Dentists are more familiar and comfortable developing short-term treatment plans for their patients. Fixing a cavity or creating a crown may take a few steps, but the results occur quickly. They are unfamiliar with the long-term process of orthodontic care and may rush the treatment, creating poor results for the patient. 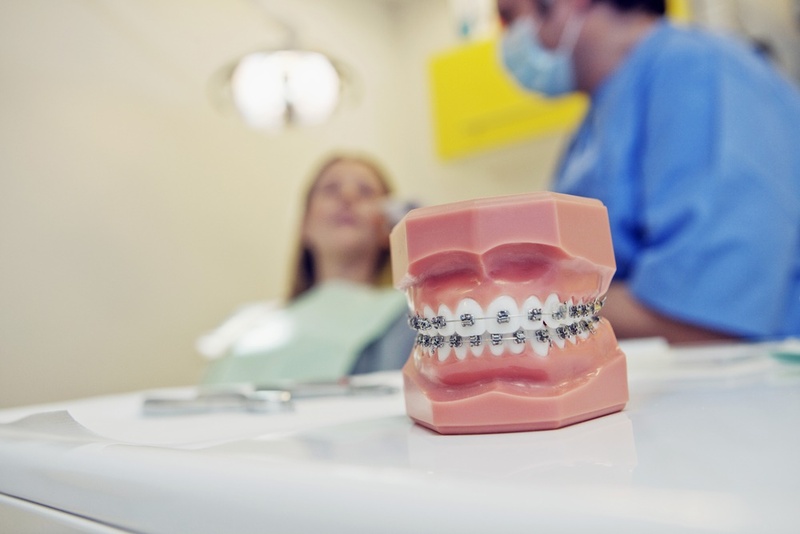 De Domenico Orthodontists are the only professionals with the training, experience and expertise to fully assess a patient’s orthodontic needs and provide the right treatment to achieve the best results. Go to a dentist to keep your smile bright, but use an orthodontist to make it perfect. DeDomenico Orthodontist is a family owned and operated business committed to providing high quality of orthodontic care. Our five convenient locations make us a great choice to serve the needs of you and your family.